Mamma mia! Here’s our Clip 2 Review to help you decide. 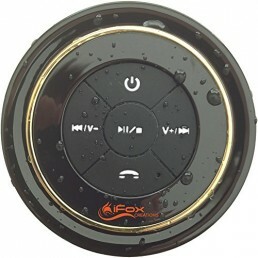 Wireless Bluetooth Streaming: Wirelessly stream high-quality sound from your smartphone or tablet. Rechargeable Battery: Built-in rechargeable Li-ion battery supports up to 8 hours of playtime. Speakerphone: Take crystal clear calls from your speaker with a touch of a button – thanks to the noise and echo-free speakerphone. Built-in Carabiner: Hook the Clip 2 onto anything you see fit and take it on all your adventures. 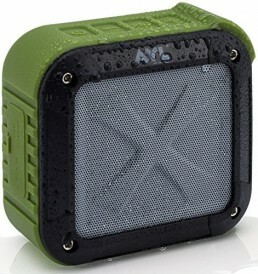 IPX7 Waterproof: No more worrying about rain or spills; you can even submerge the Clip 2 in water. 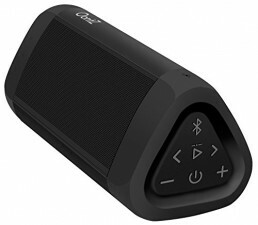 Wireless Daisy Chain: You can wirelessly connect two Clip 2 speakers together to enjoy amplified sound. Integrated 3.5mm Audio Cable: If your music player does not have Bluetooth, plug the audio cable into it and enjoy your music all the same. 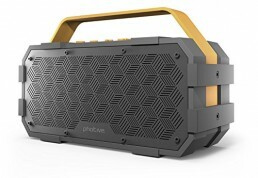 Lifestyle Materials: The durable fabric material and rugged rubber housing allows your speaker to outlast all of your adventures.